Jerry Bloom - "Black Knight"
Smashed guitars, exasperated musicians, betrayed wives and a helpless management – the “master of the wild guitar-dance” lives his life just like he plays his guitar: with no compromises. 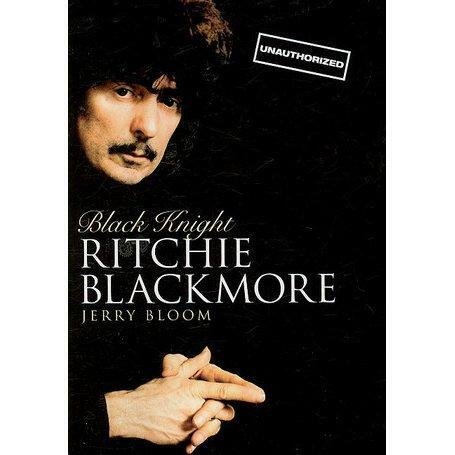 At the beginning of his career, Ritchie Blackmore spent much of his time with chatoyant characters like Screaming Lord Sutch, Joe Meek and Jerry Lewis, but then he became a hard rock legend himself, and at the same time one of the most capricious, most difficult and most puzzling characters of the Rock`n`Roll scene. The “man in black” was the musical head of DEEP PURPLE, celebrated as the “most fascinating live-guitarist since Hendrix”. His guitar part in the megahit “Black Night” has long ago become a hymn, and “Smoke On The Water” probably is the best-known guitar riff in the world of Rock’n’Roll of all time. From melodic Hard Rock, for which he set standards with his band RAINBOW, he has now turned towards the music of the middle ages, and inspires his audience worldwide in concert halls, chateaus and castles all around the world with BLACKMORE’S NIGHT. This book is the first biography of the guitarist, whose ambivalent character within has given him unlimited admiration as well as rancorous antagonsism in an eventful life.